His son, Jabulani aged 44 told the Daily News on Sunday yesterday that Sekuru Ndunge’s clients were making a beeline to their Southdown home to return lucky charms and other paraphernalia given to them by the late Sangoma to enhance their businesses and cast out evil spirits. “While I have not been keeping count, it is quite a number,” he said, after being asked if he could quantify the number of people who want to return their accessories. 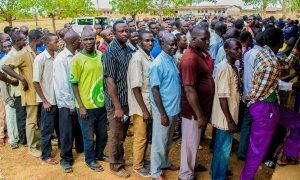 “These are people who are just panicking because of what is circulating on social media,” he added. 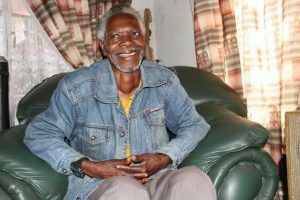 Because he would spend long hours indoors, attending to clients in his own version of a “consultation room”, Sekuru Ndunge had turned pale in complexion — a sign of not getting enough vitamin D.
In his 71 years of plying the trade, Sekuru Ndunge’s fame grew in leaps and bounds. He was famed for his ability to turn around people’s fortunes in relationships, workplaces and business. “These are people who got these things because they liked them and now they want to get rid of them for fear of what is being said on social media,” he wondered. “We are not taking back anything…My father never gave anyone anything that would hurt them. “When God gives people such gifts, He would have searched their hearts. If you give a stick to a madman it would certainly (be used to) spell doom to society. Traditional healers are there to serve society and not to bring them harm,” he added. My father did not use goblins or gave such out. Every traditional healer has his or her own unique art and yes dark spells exist, and goblins are there and are used by some. “What you should know is that as long as something has a name, it means it actually exists but my father had his own methods which did not include these things,” he said. “If someone was barren and they got assisted what is it that they would return? The children? Or if they had some medicine rubbed on cuts to their body, will we have to drain their blood because that is where the medicine would have gone?” he asked. He said he is determined to carry on with his father’s trade once the traditional rites are over and done with. “We have not started assisting people because it’s too early after his death and that would be a taboo. There are also some rituals that need to be completed before we resume this work. “But be assured that no matter what people say, this practice will never die in our family,” he said.